I was a LOT sorer than I anticipated being post-20 Miler, so I was really glad I had booked myself a massage for Monday afternoon. Hurts so good. After the massage I cheated on my boyfriend, the Chicago Marathon, with my one true love, Forever Yogurt. Don’t tell. He’s a jealous lover, and does not handle me spending time with others very well. Dance did not do my hip any favors 😦 I wouldn’t say that there was any one particular moment or move that aggravated things, but by the end of both classes my hip was sooooooore. Boo. Wednesday, September 25: 6 miles in 1:06:53 for a 11:09 pace. …which just made me freak out even more, because the very last thing I felt capable of doing after Wednesday was running a marathon. OBVIOUSLY not the week of training I had in mind. After my run on Wednesday, I e-mailed the training program manager of CARA, told her about my hip woes, and asked for some guidance as to what I should do for the rest of taper. She told me that while everyone is different, in her experience it’s usually best to take at least three full days 100% off–not even stretching–and then attempting a slow, easy three miler, which I hope to do this afternoon. The rest of my training cycle will all be very short runs (nothing longer than four miles) and a few 45 minute bikes, with the exception of this week’s long run, but all of that is provided my hip doesn’t bother me on my three miler this afternoon. I also went to the doctor on Friday, which is very out of character for me, but at this point I’m not willing to mess around with anything. Naturally my hip felt fine on Friday, so I felt like an idiot being at the doctor. Based on what she saw, the doctor said I probably have a sprain (although my hip flexor didn’t hurt when she pushed on it, which it should have done if I had a sprain. I would like to believe this means my sprain is very minor and had already started to heal itself after two full days of rest. Also, according to the Internet, you sprain ligaments and strain muscles, and your hip flexor is a muscle, so I’m pretty sure even though my sheet says “sprain,” it probably means “strain.” Also also, I’ve sprained lots of joints in my lifetime, and this hip business feels nothing like those sprains.) and sent me on my way to physical therapy. Unfortunately I can’t start PT until Thursday, which is a bit later than I would’ve liked to get going on all of that, but such is life. On the one hand, I’m glad my injury happened when it did. I know that I am capable of running a marathon, and I’d rather take time off during taper to heal up than miss out on build weeks earlier in the cycle. I’m also a very, very big believer in fate, and I firmly believe I would not have gotten into the Chicago Marathon if I wasn’t supposed to run it this year. I take the fact that I somehow was able to fill out my registration form without trouble only 30 minutes before they shut down open registration on February 19 as a sign that I am supposed to run this race this year. I truly believe it was not a fluke or a stroke of luck that I got in — I got in because I am meant to run this race. With injury, as with marathoning in general, however, a significant portion of all of this is mental, and I’m not gonna lie: this week and this injury has been very, very hard on my head. Whenever I have a second of mental downtime, I start to obsessively think about my hip, and the more I think about it, the more I’m aware of it — and the more I start to think it’s aching. Case in point: Saturday morning. Even though my hip felt totally fine all day Friday, when I woke up (much later than usual) on Saturday morning, my hip felt achy. While I made breakfast, showered, cleaned my apartment, I was hyperaware of my hip, and started spiraling downward into “I’m never going to get better, I’m never going to be able to run in two weeks, I hate everything about everything” despair. NOT GOOD. Actually, to be honest, the same thing happened during the 20 Miler. There was music playing at the start line, and one line of the song playing while we took off (I have no idea what song it was — I had never heard it before) got stuck in my head. Whenever I focused on that line and dedicated my mental energy to singing that line to myself in my head, my hip felt fine, but the SECOND I took my mind off that line, my consciousness would go immediately to my hip, and that kind of hyperawareness is not healthy. Obviously if you’re hurting your body, your body will let you know by giving you pain you can’t ignore. Clearly, I could ignore that pain on the 20 Miler, and I’ve been fighting that same head battle (and, frustratingly, losing much more often) all week. Even though I logically know all of this, it is EXTREMELY hard to put it into practice, and I’m concerned more about figuring out how to shut off the panic side of my brain on my run this afternoon than I am about how my hip will actually feel. I’m afraid I’m going to think it into hurting, and even though I know I shouldn’t do this, I don’t know how to get over that mental block. So we’ll see how this week goes. I’m definitely nervous, but I’m trying to think positively. 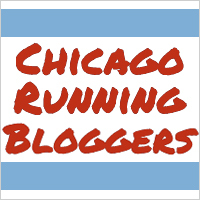 Come hell or high water, I am running the Chicago Marathon on October 13, hip flexor be damned. Ahhh I can’t believe the marathon is only a few weeks away already! It seriously feels like only a few weeks ago you started training. Despite what you appear to believe, I really do think you’re dealing with this hip pain very well. As you explained in your last paragraph, it’s mainly a mental game…the more you think about the pain the more it appears to actually be there. Thanks so much for this comment, Irina. It was SUPER reassuring and just what I needed to hear! Last night I went to a thing at Fleet Feet, and Deena Kastor was saying during taper she often starts to feel all these things that are going wrong (headaches, new pains, etc. ), and to hear someone of her caliber say that that kind of stuff let me breathe a big sigh of relief. If even the best runners feel this way, maybe I’m not completely losing it! Haha. first of all, the bit about “your boyfriend”… lol’ing! my boyfriend Derrick tells me that my marathon training is like another part time job, but I think that your analogy is muuuuch more accurate. maybe Derrick should be jealous that I’m having an affair? and about your hip… I feel for you. I really do. It sounds like you’re really mentally strong (from what I can gather from your blog and just the fact that you’re a long distance runner) but I’m sending you all the “good luck and recovery” brainwaves I’ve got anyway. I know that for runners, injury sometimes seems worse than death (it’s not, I know… but it feels like it lol) but just keep thinking as positive as you can! you got this! Hahaha right? It all began as a big joke between my sister and me about marathon day being my wedding, and the more I thought about it, the more I was like, “Wait. I actually AM in a relationship with the Chicago Marathon!” Haha. And thanks so much for the positivity 🙂 I’ve only been out-of-the-game injured once before this, and it’s SO difficult to sit around and let things go by when you want to be running! Hopefully I’ll feel good this afternoon and won’t have to feel like I’m in jail much longer! So I think you’re being really smart right now. Taper is the best time to get injured since you’re not supposed to be doing much anyways. Also you just motivated me to take it extra easy these next two weeks to make sure my hamstring stops hurting completely. We’ll be racing at the same time so naturally when I’m dying at mile 10 I can say “Bethany is running 26 miles with a strained hip flexor so I can’t finish 13 with a strained hamstring” except hopefully by then neither of us have any more aches and pains. So yea. I hope your 3 miles go well so you can be back to training! Thanks girl! I didn’t realize we were running on the same day! I’ll be sure to send some thoughts your way when I cross the halfway mark 🙂 And you know, I think one of the best things about blogging about running for me has been to be able to see what other people are doing. It definitely helps me be smart with things (like injuries) and also helps motivate me a lot! I hope your hip feels better today! And that you do find a distraction from it! I didn’t know the strain vs sprain (muscle/tendon vs ligament) thing until I started studying to be a personal trainer. I feel like there is so much anatomy knowledge I somehow missed out on. Ha ha. Thanks Kim! All fingers and toes crossed! I didn’t realize that it was an anatomy difference until the Internet told me so haha. I thought it was an actual different kind of injury (like maybe a sprain was just overworked and a strain was torn, or something like that. I really had no idea — English major over here! Haha). I really hope you’re feeling better after some time off! Hopefully your PT is able to work some ART magic too and loosen up for your hip flexor. I can imagine how nerve wracking it must be at this point but remember that during taper rest is your friend and our bodies are capable of doing amazing things… like recovering from injuries fairly quickly. It’s much better that it happened last week than next week! Thanks for the reassurance! It’s SO hard to trust that I’m doing myself favors by resting, even though I know technically it’s true…I’m just not used to it at all! As long as it pays off in two weeks, though, I’m happy to suffer through the mental difficulty now. Thank you dear! Definitely not easy AT ALL…like, I truly do not remember the last time I took four days off of exercise in a row. But whatever it takes, man. I just want to run this marathon! I’m loving on the compression shorts lately. All day every day. Thanks for the reassurance!